Below is a timeline of updates released to the IDEA site’s IEP application, complete with descriptions and screenshots of items effected by the update. Below are a list of updates that have been rolled over to the IEP Application of the Iowa IDEA site. A column for the Page A (shown in screenshot below) teacher was added in order to sort out a teacher’s roster with in the building list. When specialized transportation is marked “yes” on the G page, a Specialized Transportation service is automatically created on the F page. However, if Specialized Transport is changed to “no” on the G page, the user will have to manually delete the automatically created Specialized Transportation service. 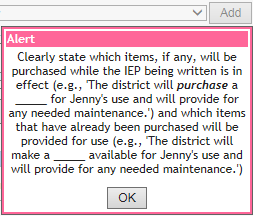 The A page teacher is now editable anytime that the IEP status of the IEP is validated. In the past, the IEP had to be open for Review, Reveal or Amendment. This is no longer the case. 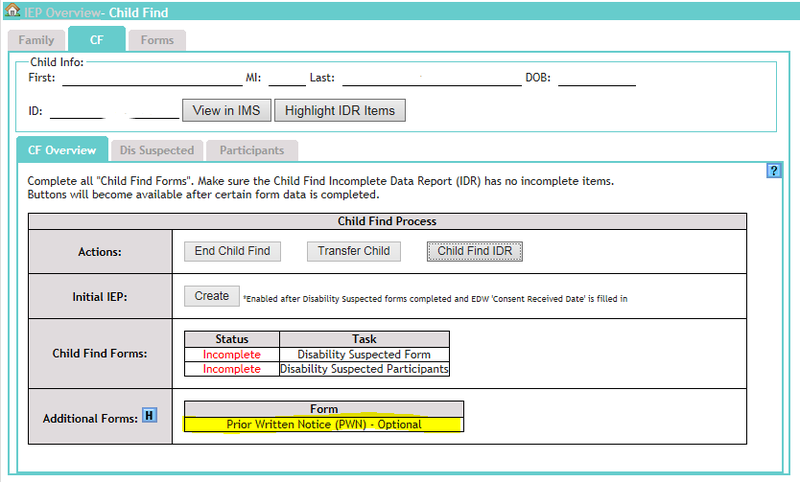 To add staff according to the building listed on the family page of the child’s IEP, navigate to the Add Staff tab. Select Add from the Action drop down and Building from the Staff In drop down, then click Display. This will display any staff that have an assignment at the attending building listed on the child’s family page.